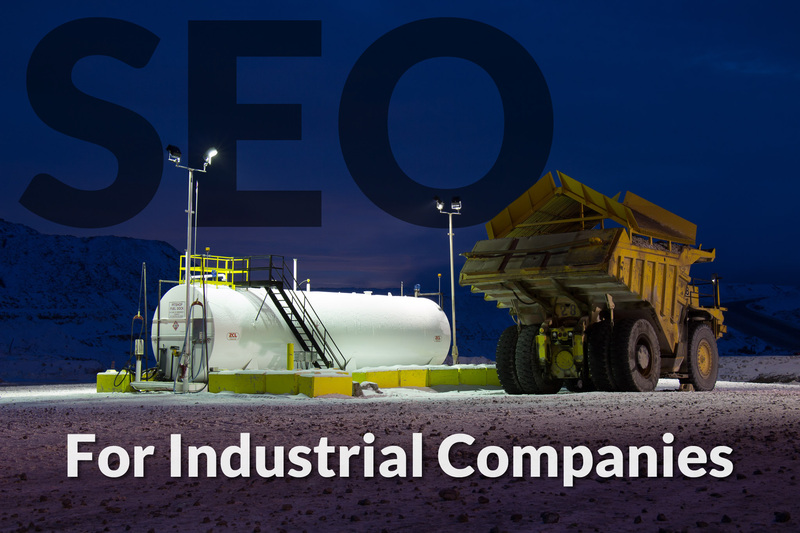 SEO for Industrial Companies is important. I have lots of clients that ask me how to get more traffic to their website via search engines for search terms that they are interested in. They want to show up on the first page of Google but don’t know what’s involved in getting there. Search Engine Marketing Pay for advertising on Google search results to get your site on top. this requires continual monthly costs and could be costly if others in your industry are doing the same. It’s sometimes valuable to go this route for a specific time frame if you know there are projects and bids being made on projects that have a deadline. 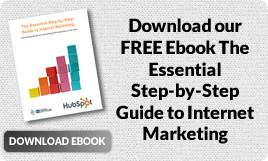 Inbound Marketing Write about the keywords you want to show up in search engines for. What are the terms about? How do you do them? How do you do them better than others? What are the main problems people face when they need your service? This direction has several positives to it because the content you write is evergreen…it doesn’t go stale…so a long time from now it will still be relevant to your business (in general). You don’t have to pay for un-needed advertising costs, but you do have to spend the time writing good content (or paying someone to write good content). The first option can be called Search Engine Marketing. There are pros and cons to this type of promotion of your business that I won’t go into as there is a LOT to cover when talking about SEM. The second option is partially Search Engine Optimization and partially Inbound Marketing. Inbound Marketing focuses on using strategies on your website that will naturally bring potential clients to your website via search, social networks, referrals, and traditional marketing. By focusing on bringing people to your site naturally, you automatically have visitors that are more qualified to be leads because your site has what they are looking for. Once they are on your site, there is a process to follow to get them to voluntarily give you their contact information so you can continue to market to them….or call them right away if they are inquiring about a service you provide. For some companies, it’s a longer process to have a stranger become a visitor, then become a lead, then become a customer….but for an industrial company the process is somewhat condensed. Here’s a scenario: someone is looking for a service you provide, so they search on a search engine for the keywords they are looking for, since you have been writing a lot about those keywords, the search engines favour your website as most relevant and have your site come to the top. The searcher clicks on the link to go to your website and read about what you do. If they see what they are looking for and are convinced you can do what they need, then they add you to their list of companies to contact to get a quote. They contact you and immediately they have become a lead that someone at your company will connect with to start the sales process. So in looking at that process…there are two things that are difficult to accomplish…the first is to show up at the top of search results for the keywords you want, and the second is to have an impressive and relevant page for the searcher to end up on that convinces them to contact you or request more information….ie a great website with real photos and video clips that demonstrate what you do and how you do it. I’m focusing on industrial companies in this post. The kinds of companies that have large projects, and other companies as customers (B2B Companies). These types of companies have a high profit margin and a low number of sales (in general), so they are not marketing to the general public. They are most likely marketing to the main decision makers of companies or the assistants of these decision makers that are doing research on what companies are available. Since industrial companies have a high profit margin for getting a contract, they should have a healthy budget for marketing. Therefore, they should have a mix of Search Engine Marketing and Inbound Marketing to achieve their goals. Inbound marketing will be a lasting investment as your website will show up in search results long after you’ve paid to have the posts and pages written, videos created, and photographs taken. Search Engine Marketing is a good “right now” solution because it gets you into search results right away but comes at a bit of a hefty cost. This is why I recommend that industrial companies start off with both forms of SEO and SEM at the beginning and then continue to pay for Inbound marketing going forward because their cost will be largely outweighed by the gains they will get by getting additional contracts and/or large clients.